Looking for a book to give to a K-8 school in recognition of Earth Day 2016? 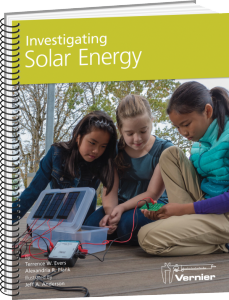 Investigating Solar Energy is a new book published by Vernier Software and Technology that contains nine hands-on experiments and two culminating engineering projects that enable students to learn about solar energy and develop solutions to real-world problems. Vernier Software & Technology has been a leading global innovator of scientific data-collection technology for 35 years. Focused on science, technology, engineering, and mathematics (STEM), Vernier is dedicated to developing creative ways to teach and learn using hands-on science. This entry was posted in Solar Energy Education, Solar Schools and tagged Earth Day gift ideas, Investigating Solar Energy, Nebraskans for Solar, renewable energy education, Vernier Software and Technology on March 31, 2016 by Helen Deffenbacher. Part of the future of solar energy, especially for residential use, may be small “community-based” systems in which neighbors join together in the construction and use of solar systems to optimize the energy produced in their neighborhood – and share in the benefits. New research by engineers at Oregon State University indicate that an optimal development of neighborhood solar energy might increase the total electricity produced by 5-10 percent, a significant gain by the standards of solar energy efficiency. At the same time, it can reduce the variability and unpredictability of the solar resource. Read more here. 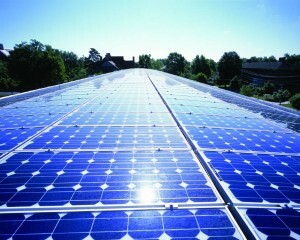 Rooftop Solar Panels Could Power Nearly 40 Percent Of the U.S., by Mary Beth Griggs, Popular Science. The Energy Department’s National Renewable Energy Laboratory (NREL) issued a report last week that analyzed the ability of America’s roofs to host solar panels. They looked at rooftops in 128 cities across the country, analyzing buildings large and small for their suitability for hosting photovoltaic (PV) solar panels, and how much power could be generated in each location. The estimates varied by state and by region, but overall, the report found that 39 percent of the country’s energy could be generated by rooftop solar panels. Experts Explore Global Role of Solar PV, Solar Industry Magazine. 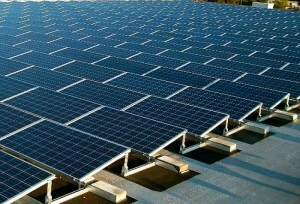 The U.S. Department of Energy’s National Renewable Energy Laboratory (NREL) says its scientists, along with their counterparts from solar energy research institutes in Germany and Japan, gathered recently to discuss the future of photovoltaics and assess its contributions to increasing global prosperity, energy security and mitigation of climate change. Detroit council approves 10-acre solar energy plant on vacant city-owned land, by Joe Guillen, Detroit Free Press. Members of Mayor Mike Duggan’s administration described the project as a catalyst to enhance the neighborhood, along with concurrent plans to use federal funds for nearby blight demolition and a commitment to train residents for “green collar” jobs focused on the reuse of vacant land. Officials To Flip Switch On 100-Acre Solar Plant in South Arkansas, UALR Public Radio. The switch will soon be flipped on 151,200 solar panels that will provide electricity to the growing defense industry operations in East Camden. The 12-megawatt solar field will generate electricity equivalent to powering 2,400 homes. A new study from The Appraisal Journal, the academic publication of one of the nation’s largest association of appraisers, shows that homes that use solar panels are sold at a premium. This entry was posted in NewsBlog and tagged Nebraskans for Solar, solar energy news on March 31, 2016 by Helen Deffenbacher. Will utilities become Uber for DERs? acknowledge the utility business model needs to change and is indeed changing, with only 5% of those surveyed saying their utility should not build a business model for distributed energy resources. Continue reading. This entry was posted in NewsBlog and tagged Krysti Shallenberger, U.S. energy transition, Utility Dive on March 30, 2016 by Helen Deffenbacher. In addition to benefiting customers: From the utility perspective, behind the meter storage should be viewed as an opportunity as well. After all, the more storage is paired with solar, the more control we will have over solar’s variable output, which is the main issue utilities cite for limiting the amount of solar on their networks (a potential $2 billion in lost revenue to conventional generators from rooftop solar is rarely mentioned). The more forward-looking utilities are even investing in small behind-the-meter storage systems at customer sites, which they can use to provide grid services and cut costs, while providing resilient power and other services to the host. Unfortunately, the majority of utilities seem to be either neutral or negative on the question of distributed energy resources in general, and solar in particular. As Rocky Mountain Institute predicted more than a year ago, the more utilities try to decrease incentives and add fees for solar customers, the more incentive these customers will have to invest in storage, as a way to protect the value of their solar investment and further reduce their reliance on grid-purchased electricity. 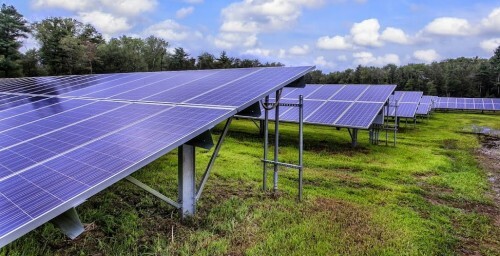 This entry was posted in Energy Storage, Nebraska / Midwest News, NewsBlog, Research and tagged Clean Energy Group, economic benefits of solar+storage, Nebraskans for Solar, Rocky Mountain Institute, solar+storage tax credits, Todd Olinsky-Paul, Utility Dive on March 30, 2016 by Helen Deffenbacher. A new technical study that is more detailed and extensive than previously achieved, the US Energy Department’s National Renewable Energy Laboratory (NREL) has significantly increased the potential for US building rooftops to generate electricity from solar PV (photovoltaics) systems. The analysis within the report entitled “Rooftop Solar Photovoltaic Technical Potential in the United States: A Detailed Assessment,” used detailed light detection and ranging (LiDAR) data for 128 US cities across the country, along with improved data analysis methods and simulation tools, to update and make more accurate estimates of technical potential of PV on rooftops at the national, state, and zip code level. Read more. The report states that the technical potential of 1,118GW of capacity and 1,432TWh of annual energy generation was possible, equivalent to 39% of current US electricity sales. This is almost double (664GW – 800 TWh) the previous analysis undertaken and reported in 2008. This entry was posted in NewsBlog, Research and tagged National Renewable Energy Laboratory (NREL), Nebraskans for Solar, PV-Tech.Org, U.S. rooftop PV potential on March 29, 2016 by Helen Deffenbacher. Clean Energy Utah and U Community Solar are offering a discount on solar panels to all university students, faculty, staff and alumni from March 15 through Sept. 30, 2016. Clayton Johnson, clean energy project coordinator for Utah Clean Energy said they have a simple goal. 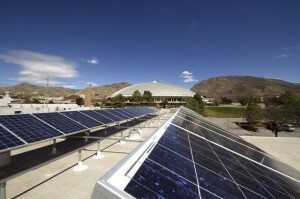 “We want to empower more Utah families with clean solar energy on their homes,” Johnson said. In 2014, U Community Solar (UCS) provided panel installation to almost 400 households. Johnson said the program would save a combined $7.7 million over the next 25 years. The continued effort is to prevent over 100 million pounds of carbon dioxide emissions. Continue reading. 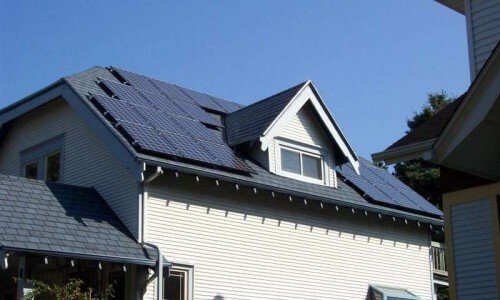 This entry was posted in Green Campuses, NewsBlog and tagged Clean Energy Utah, Nebraskans for Solar, saving with bulk purchasing of solar panels, The Daily Utah Chronicle, U Community Solar on March 29, 2016 by Helen Deffenbacher. When we do the math, the increase in electricity supply provided by distributed solar generation and its associated reduction in demand trickles down to all ratepayers, in at least two ways. 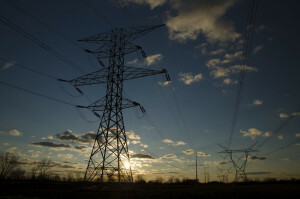 First, grid operators buy less power, reducing their costs. Second, reduced net demand leads to a reduction in wholesale market prices, further reducing grid operators’ costs. Both streams of reduced costs are passed through to local utilities, which then result in reduced retail prices for ratepayers. Remember this the next time your local utility tells you that your neighbor with solar is “shifting costs” onto the system. The fact is that the system is transforming, and that is good for us all. This entry was posted in Nebraska / Midwest News, NewsBlog on March 29, 2016 by Helen Deffenbacher. Rocky Mountain Institute (RMI) Manager Joseph Goodman left a position in the U.S. Department of Energy (DOE) SunShot program for the opportunity to show how to make community solar markets happen, he told Utility Dive in an interview. Under Goodman’s leadership, RMI is now working with community-based organizations, rural electric cooperatives and public and investor-owned utilities to demonstrate that it is possible to deploy community solar installations at prices up to 40% lower than installations today. This entry was posted in Community-Scale Solar, NewsBlog and tagged community solar, Herman K. Trabish, Nebraskans for Solar, Rocky Mountain Institute (RMI), Utility Dive on March 28, 2016 by Helen Deffenbacher. 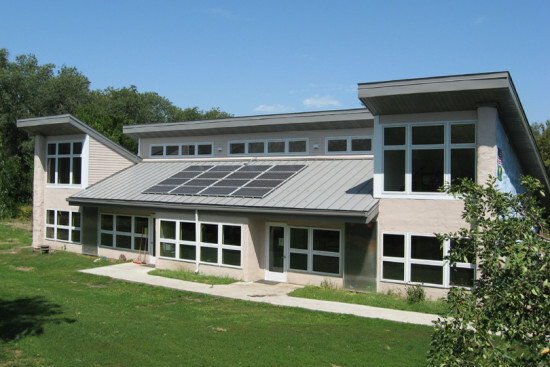 “Earth House” at Prairie Hill Montessori School in Roca, Nebraska, one of two “hybrid schools” (wind and solar). Nebraska has no other K-12 solar schools. This entry was posted in Nebraska / Midwest News, NewsBlog, Solar Schools and tagged K-12 Solar Schools Curricula, Nebraska Green Schools, Nebraska Solar Schools, U.S. Solar Schools on March 27, 2016 by Helen Deffenbacher.